Taking screenshots is one of the easiest ways to demonstrate a point or highlight a bug when using a computer, and for many people, the standard functionality their operating system provides is more than sufficient. Understandably, others yearn for more features, such as being able to edit screenshots or preview them without having to open Paint, or even being able to take a screenshot with the exact same dimensions again. MWSnap is the answer to every one of these issues, despite being twelve years old at the time of writing. In software terms, it is absolutely ancient. However, it’s free and totally reliable even on Windows 8.1. 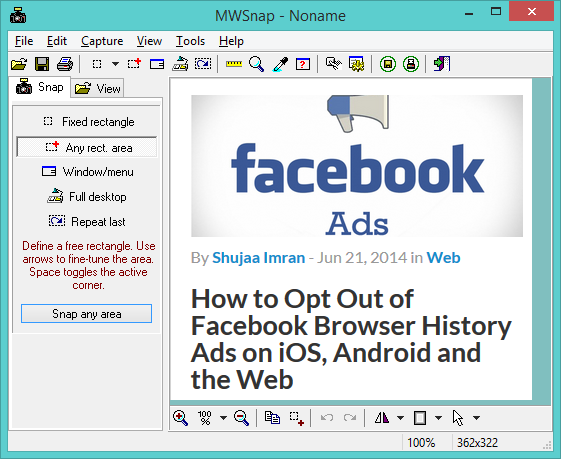 Installing MWSnap is a simple task; the executable file size is tiny, and it is not burdened with the same adware and offers that seem to plague more modern alternatives. Simply choose the installation folder, and you’ve completed the most difficult part of installing MWSnap. Given the obvious utility of a dedicated program, we would also suggest placing a shortcut on the desktop or taskbar as well, depending on your version of Windows. If you would prefer not to perform a full-fat install, there is a portable version of MWSnap available, although at the time of writing, the second mirror link is down. 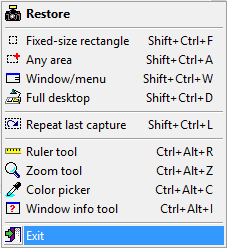 All functionality is available via the buttons on the left, but right clicking the icon in the program tray also works to bring up the same functions. Perhaps the most useful tool of all is bound to the “Shift + Ctrl + A” shortcut, allowing you to drag a box to determine the contents of the screenshot. Simply pressing the “Print” Screen key does not provide the same functionality within Windows, though it is arguably more useful than a full-size desktop screenshot. MWSnap also includes the ability to take a shot with the exact same dimensions as the one immediately before. This can be great if you need to re-take a screenshot or want to show the effects of the previous action within the same region of your display. Although the editor is spartan by modern standards, it is enough to make a few basic adjustments. For editing more focused on changing the contents of the picture, Microsoft’s own Paint tool is a wiser choice, but the two have features that do not overlap, while paid software like Techsmith’s SnagIt incorporate all their functions and more. MWSnap is an antiquated piece of software, so it should come as no surprise to find that automated uploads are not available. Pictures have to be uploaded manually to a site like Imgur or Minus, both of which are highly regarded for sharing photos. For some, this will likely harm the overall user experience, particularly with software like Greenshot and Lightshot boasting this as their main functionality. 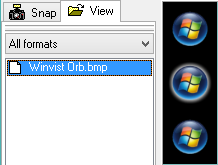 Oddly, MWSnap features its own file browser, allowing you to navigate through files on the hard drive. The old-fashioned tree navigation may not be aesthetically pleasing, but if you know where to find the required file, it is a quick and easy way to open pictures without touching Windows Explorer. MWSnap has an impressive number of options for a program with a relatively sparse interface, and for some users these options will undoubtedly have their appeal. Key commands can be rebound to better suit your workflow or keyboard layout, and the background for the pictures can also be adjusted to ensure things look just right to your eye. 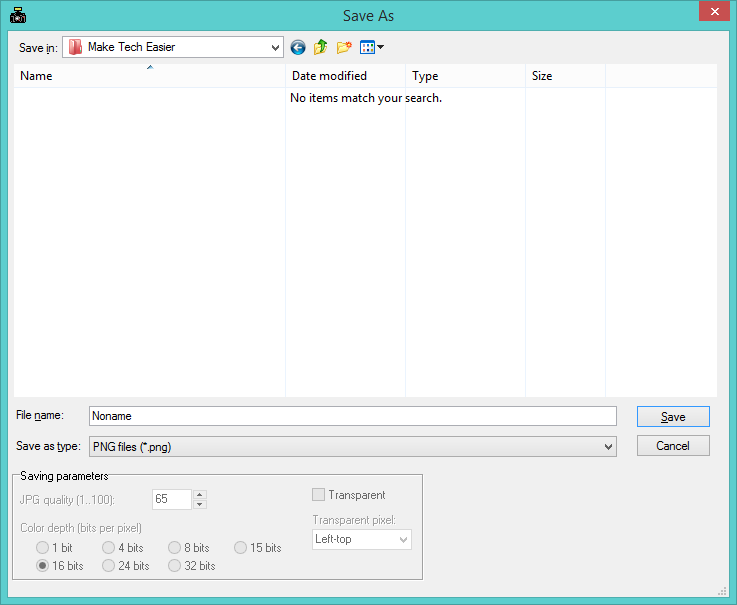 The default settings for various file formats are also not the only options available; the Save dialog includes options to fine-tune the file format. While potentially more in-depth than many users would like to go, this is an unusual feature that should entice advanced users. MWSnap could be criticized for its ugly UI, or for its lack of upload facilities, but to complain about its shortcomings would be to miss the great features it offers. 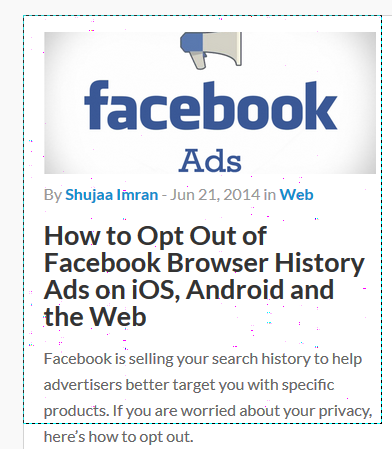 Finding a free alternative that is equal to or better than MWSnap should prove challenging, given that it remains totally compatible with modern computers. During all of our testing, we encountered no issues; no input lag, crashing or general unresponsiveness. 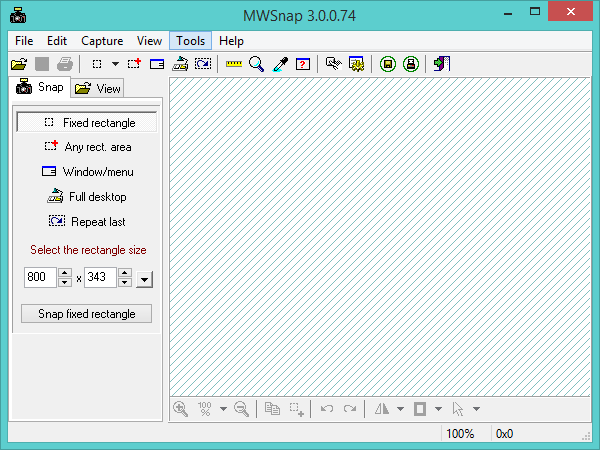 For now, MWSnap is one of the best free tools, and it is surprising that it manages to retain this position more than a decade after its release.